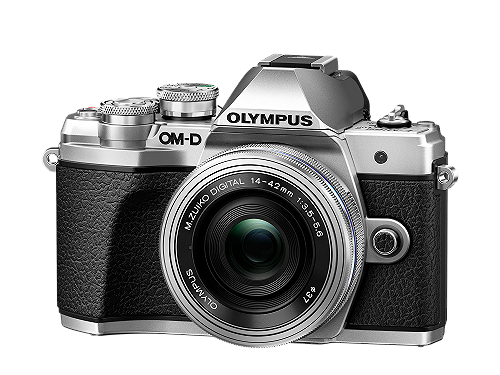 Give your photography a creative boost with the OM-D E-M10 Mark III and M.Zuiko Digital 45mm F1.8 lens. This stylish, high-power combination is ideal for capturing eye-catching portrait shots with nice background blur and vivid contrast, thanks to the lens' fast aperture. With extremely fast focusing capabilities you can also shoot top-quality videos as well as stills. Packed in a compact, travel-friendly frame, the M.Zuiko Digital 45mm F1.8 has a metal-look finish and comes with interchangeable decorative rings to match your new E-M10 Mark III perfectly. Buy both the camera and lens together today (from either the Olympus UK Webshop or an authorised retailer) and save a whopping £279.99! After purchasing your E-M10 Mark III, simply click here and fill out the form to claim your free lens. Plus, don't forget to check out our Easter Specials to see how you can save a further £75!